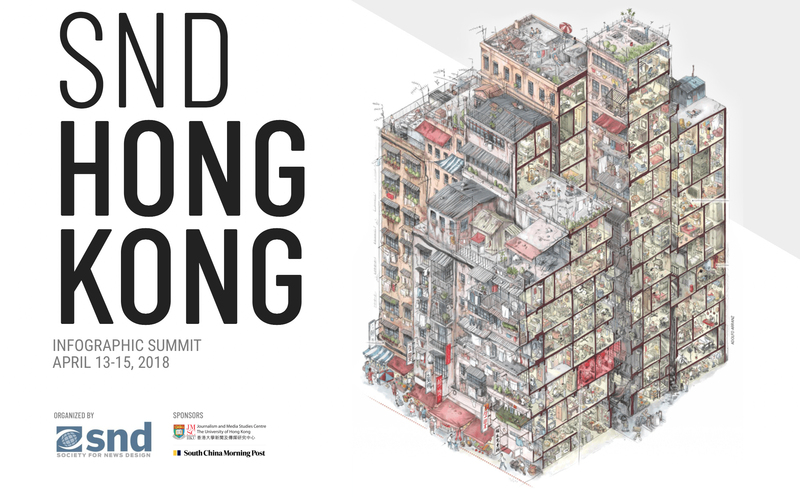 Hong Kong is hosting a great infographics summit next week. The event is organized by the Society for News Design (SND) in collaboration with the award-winning infographics team of the South China Morning Post, undoubtely one of the best news graphics teams in the world with their great combination of illustrated infographics and data visualization. The SND Hong Kong event is hosted by the prestigious Journalism and Media Studies Centre of the University of Hong Kong (HKU). I taught a workshop in Shanghai’s location of HKU a few years back, they have excellent Journalism programs. The event starts on April 13 with a one-day series of conferences. 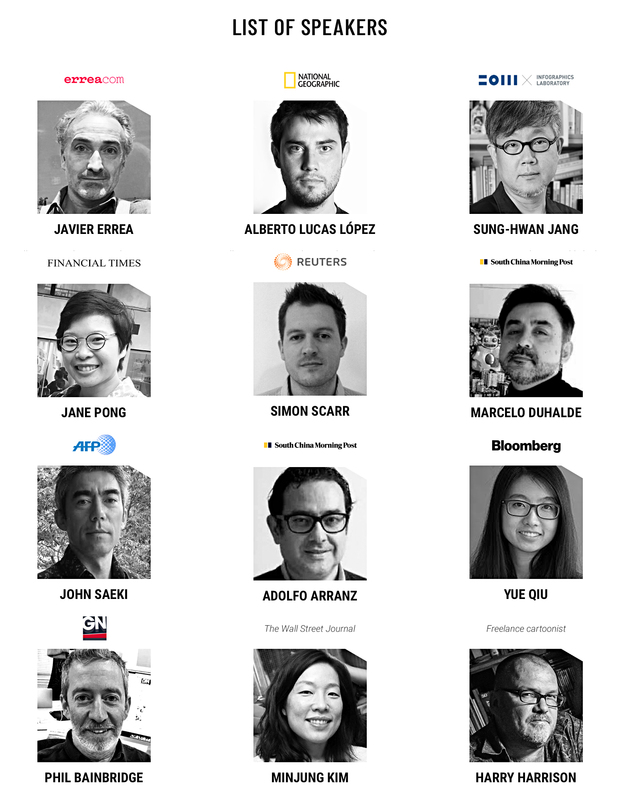 The list of speakers includes representatives from many of organizations creating the best news graphics in Asia, such as the South China Morning Post, Bloomberg, Reuters, AFP, The Wall Street Journal and more, and other panelist of the caliber of Javier Errea from Errea Comunicacion and Alberto Lucas from National Geographic. See the full agenda here. The summit will be followed by a two-day workshops at HKU. Attendees will visit selected sites on Hong Kong Island to develop a visual story, guided by the South China Morning Post infographics team. The workshop is already sold out. Let’s hope this initiative becomes a regular event in the infographics calendar! This entry was posted in Graphics, News, Training, Uncategorized by 5wgraphicsblog. Bookmark the permalink.